Manufacturing and installations of Custom made Steel Cages, Cat & Dog Kennels, Gas bottle cages (Gas bottle Containers) and other custom steel works done in Roodepoort, Krugerdorp, Randburg, Randfontein and other surrounding West Rand Areas. 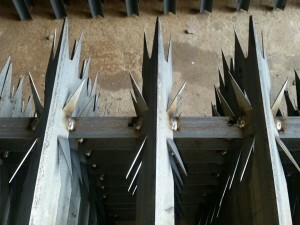 MF Steel specialises in custom made steel works. 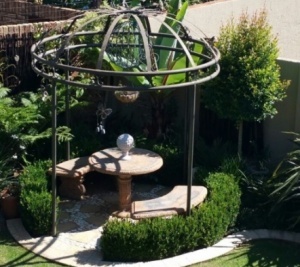 We can make anything from gas bottle cages, containers, custom made steel cages to intricate garden features. We are one of the biggest providers of custom cat and dog cages in Gauteng. We design and build any size kennel. See our Gallery for some examples of our kennels. Our workmanship is guaranteed for 1 year.